The key to running truly digital enterprises is to harnessing the power of automation. NetOps should adopt new and innovative automation technologies to move faster, eliminate errors and reduce IT costs. 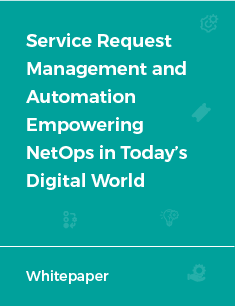 Discover how to build an agile infrastructure and enable self-servicing for NetOps teams using automation.